Rapt by the vision before her, a young girl’s enchantment at seeing her first ballet inspires her to dance – and become the world’s most famous and dazzling ballerina of all time. Born into a humble household where her mothers labours in a launderette, the life of a young girl, Anna Pavlova, is transformed when she see her first ballet Tchiakovsky’s Sleeping Beauty at the Mariinsky Theatre. Transfixed by the magic unfolding before her, Anna determines to follow her own destiny and become a dancer. Frail and delicate, as opposed to the more robust and acrobatic dancers of the era, Anna brought a fresh fragility and softer nuance to the world of dance – and the world loved her for it. 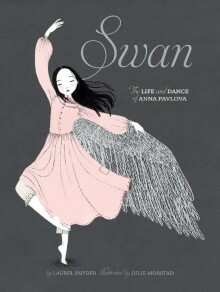 This wonderful bio-picture book tells a rags-to-riches story of Russian dancer Anna Pavlova, whose greatest gift was not only her stunning talents as a ballerina but also her belief that ballet should be for everyone, not just an elitist privilege for the wealthy. The book takes its title from Pavlova’s most famous carnation in the solo that was specifically created for Pavlova by Ballet Russes choreographer Mikhail Fokine in 1905 to Camille Saint-Saëns’s Le Cygne from Le Carnaval des Animaux which she performed about 4,000 times (you can see rare footage of Pavlova’s Dying Swan on Youtube). 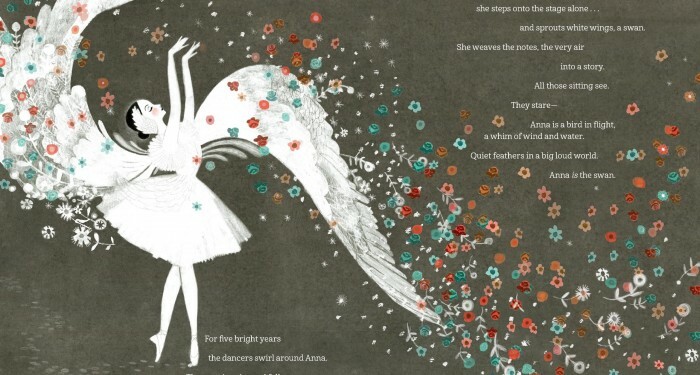 A true celebration of the art of Anna Pavlova, with exquisite illustrations that capture an era where fashion was elegant and sophisticated (Pavlova was a contemporary of Coco Chanel, a patron of the Ballet Russes), this is an inspiring yet hauntingly poignant tale. Expect a moment of respectful reflection as Pavlova folds her wings for the final time. 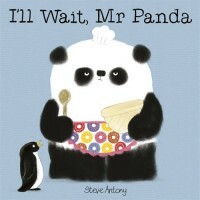 The perfect book to inspire budding ballerinas and guaranteed to have you twirling and pirouetting around the house. There’s also a useful biography section at the back of the book with a reading list for those who want to delve further into the history of an amazing dancer. Did you know? The meringue dessert “Pavlova” is named after this famous dancer. During Anna Pavlova’s first tour Down Under in 1926, a Wellington hotel chef created the pavlova in her honour, citing the dancer’s tutu as inspiration for the meringue-based dessert. Fun fact Famous for her perfect pirouettes, Anna Pavlova once completed 37 pirouettes perched on top of a moving elephant while on a tour in China. 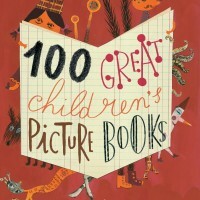 Author notes Laurel Snyder is the author of picture books, novels and several collections of poetry. She grew up in Baltimore, Maryland, where she studied ballet at the Peabody Preparatory, Caryl Maxwell Ballet, and The Cultural Institute. She now lives in Atlanta, Georgia, where she continues to dance, but mostly in her kitchen. 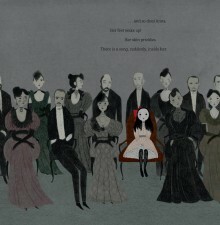 Julia Morstad is an award-winning illustrator and artist who lives with her family in Vancouver, British Columbia.